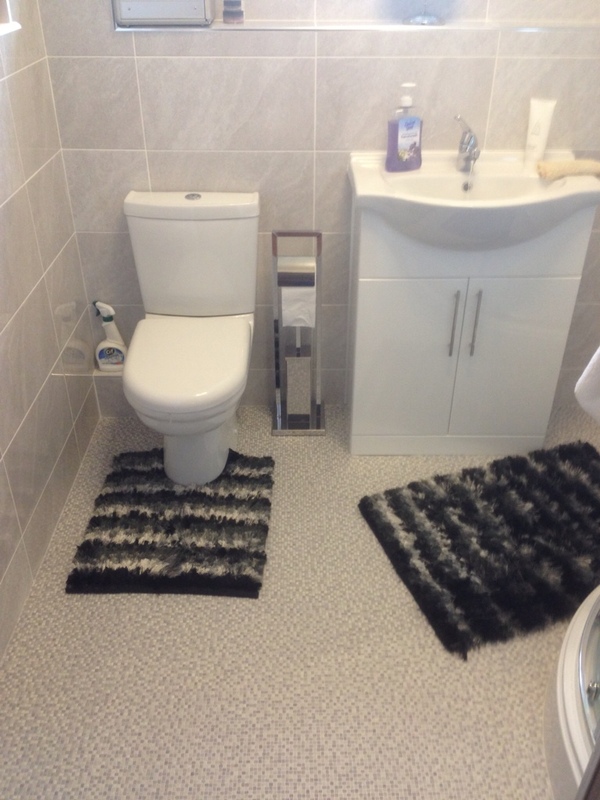 At Michael Lowe Bathrooms we realize that some bathroom areas are limited to the space they have. So more thought has to go into the layout of your suite and what you want from your bathroom. You may want to get rid of your bath and have a stand alone shower cubicle. 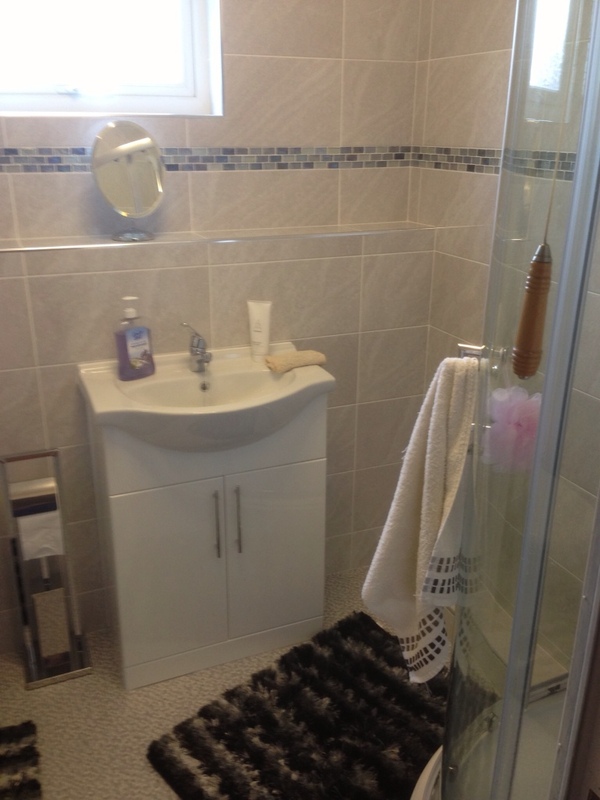 The photo below shows a compromise of both a shower above a bath. A soil stack has also been hidden within a false studding giving the option in this case for a feature alcove built in. The spot lights above also highlight this area along with the mosaic tile back which gives the illusion of a larger area. More space has also been utilised by the use of a wall hung WC with a built in cistern. The chrome flush plate gives access in case of flush adjustment or other maintenance work. 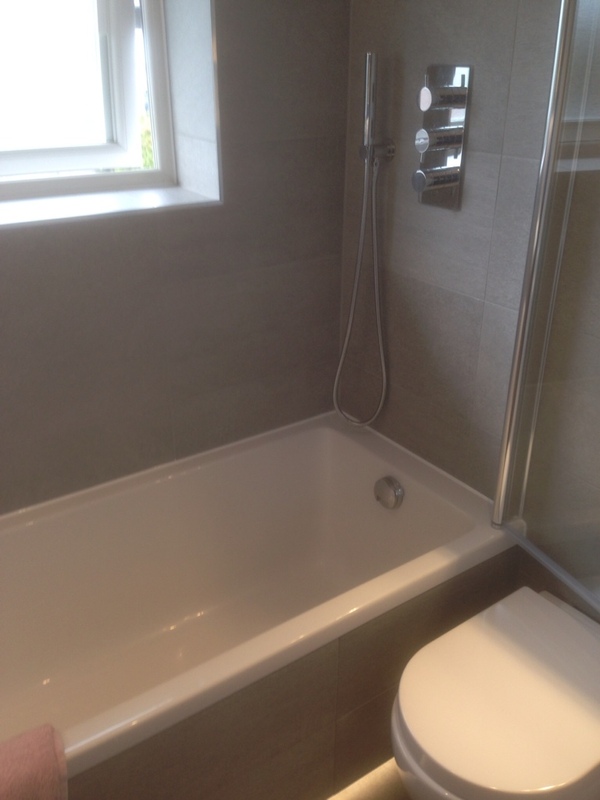 A feature has been made of the tiled bath panel which is in keeping with this bathroom design. A skirting recess has been achieved with some thought to the strip LED lighting. This WC set up has also enabled the shower screen to fully open for the times when you want to use the bath for a long soak. 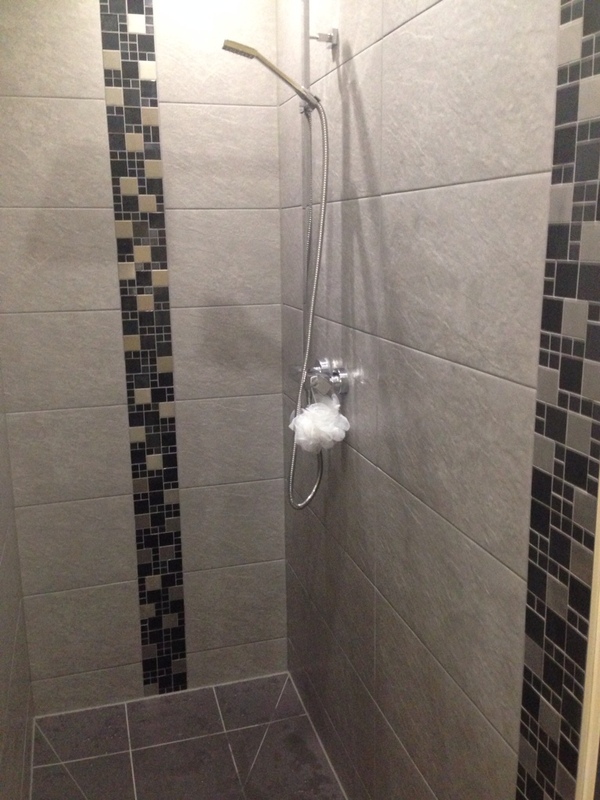 The studded wall has also given the extra option of a built in shower valve with a fixed head and secondary hose head attachmentas for cleaning down or simply washing your hair. Follow this blog for more tips and advice with your bathroom planning. Some people worry about the practicality of a wet room shower room. 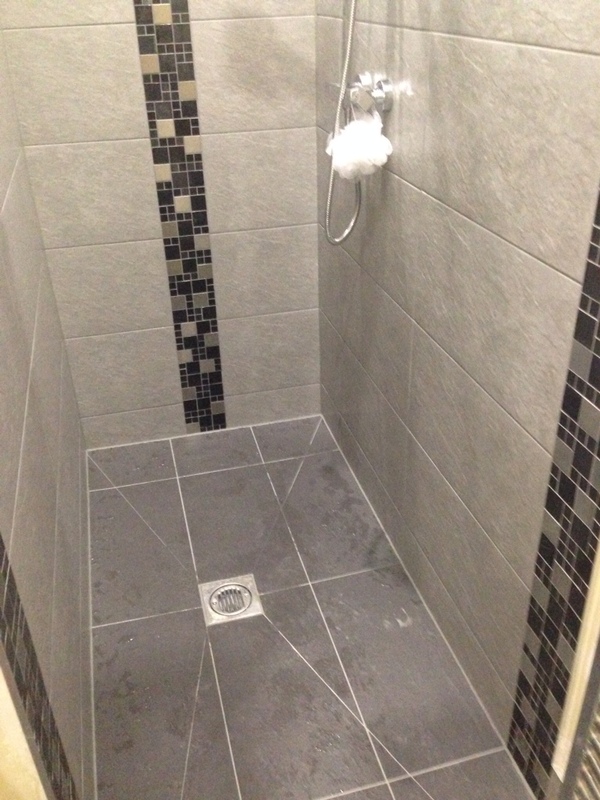 Yes there are issues to think about, drainage, waste water falls and slippage problems but there is no doubt that if done correctly they can add real distinction to a shower room. They are more popular than ever and as you can see you don’t need lots of room. When tiling the floor of your wet room it is always best to seek advice. You will need imput with tile choice and grout. A rain water head is always the best option, this keeps the flow of water pointing downwards towards the drain. 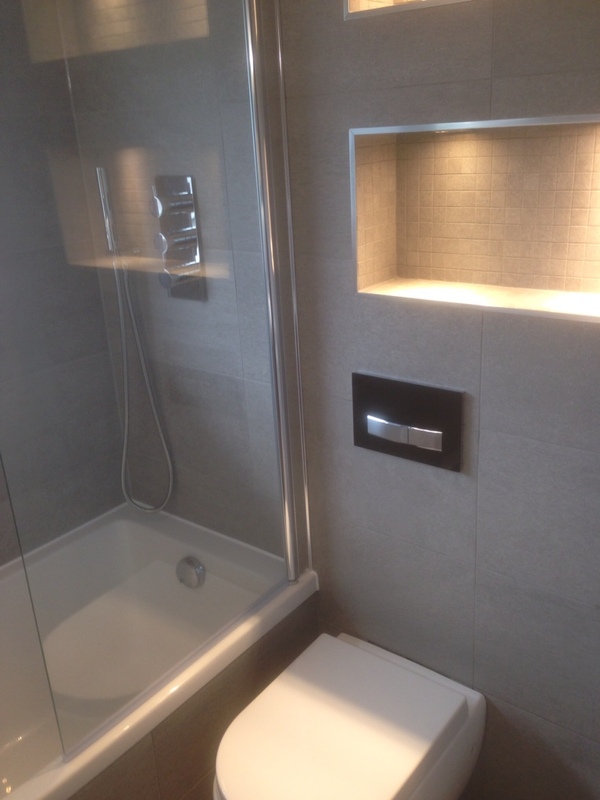 We would advise to always use a shower forma, whether it’s vinyls or tile that you choose as your finish. A tile finish is always best done in an envelop style finish unless your using small mosaic tiles. Always go for a finished tile one that doesn’t need any treatment or sealant. Lets face it most of us prefer a shower and haven’t the time for a bath. 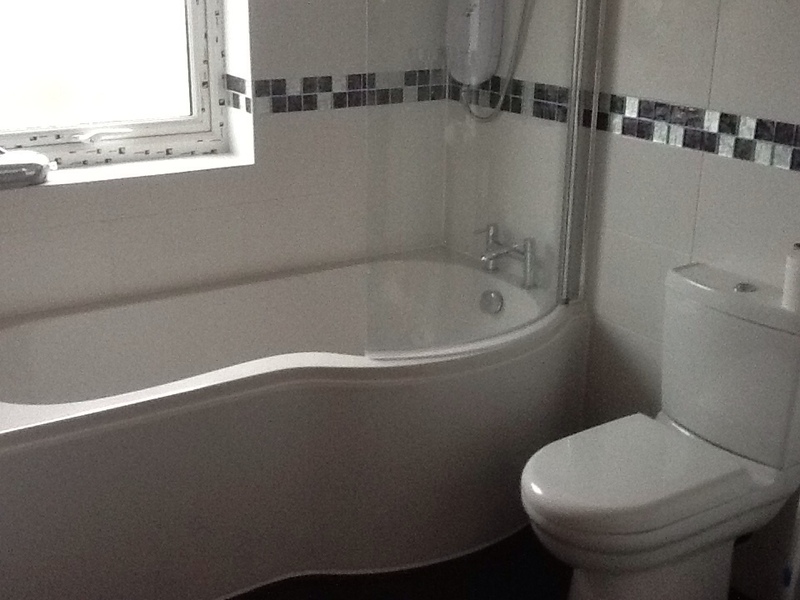 The bath also takes up a lot of room in the bathroom compared to a shower cubicle. 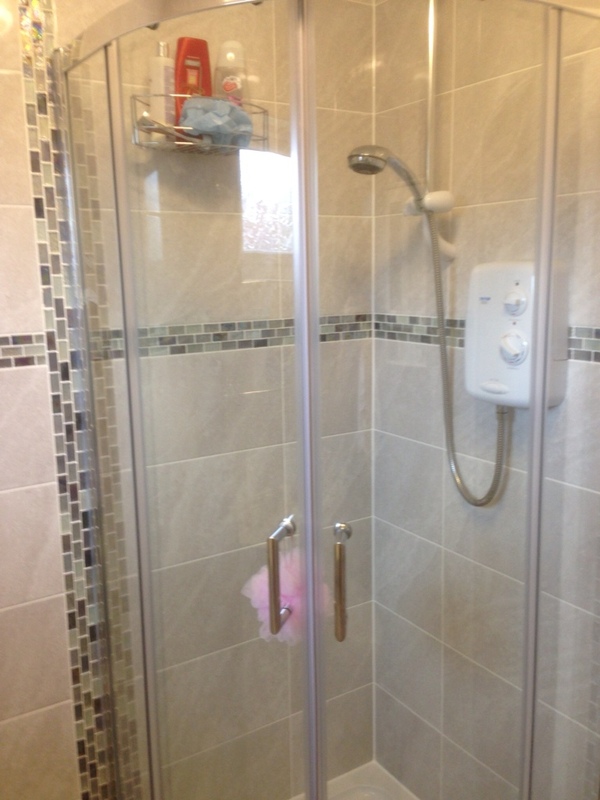 Sometimes the best option is to remove the shower and fit a shower cubicle. The quadrant shower cubicle gives the illusion of using up less floor space, whilst still the ability to have a comfortable shower. So is often the desired choice in the modest bathroom. 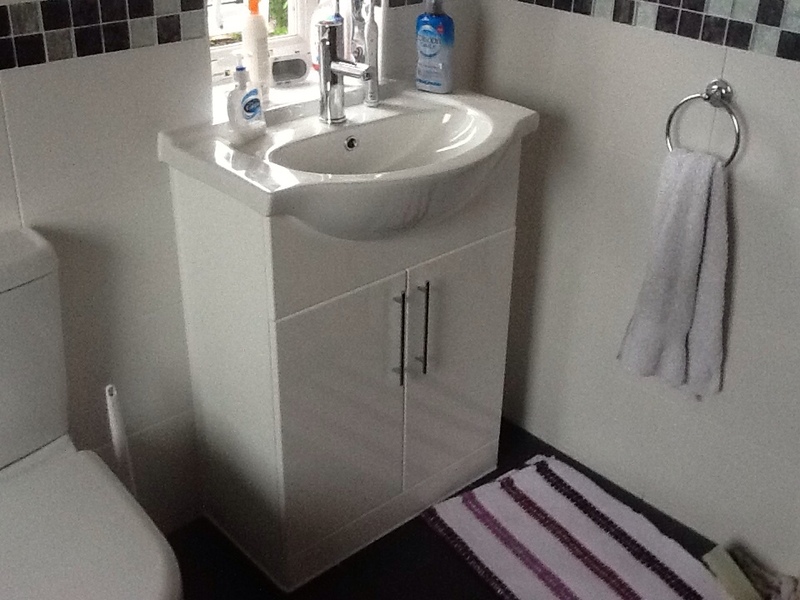 In the situation here it has freed up space for a vanity unit complete with semi recessed basin. The extra floor space gives you other options with storage and accessory choices. Preston plumbers tips for a larger bathroom. 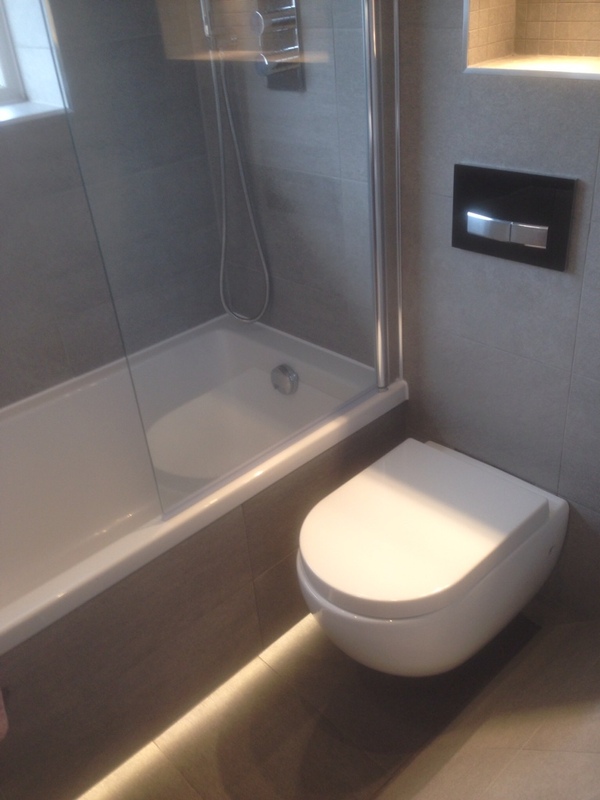 If your lucky enough to have a bit more room in your bathroom then a P shaped bath is a good alternative to a standard bath. They offer slightly more elbow and leg room whilst showering without removing the comfort of a bath. A vanity unit combined with semi recessed bathroom offers the ideal option to hide all the usual bathroom clutter from site. This unit has been placed central to the window to let in as much light as possible. We all like the look of luxury and style in our home. 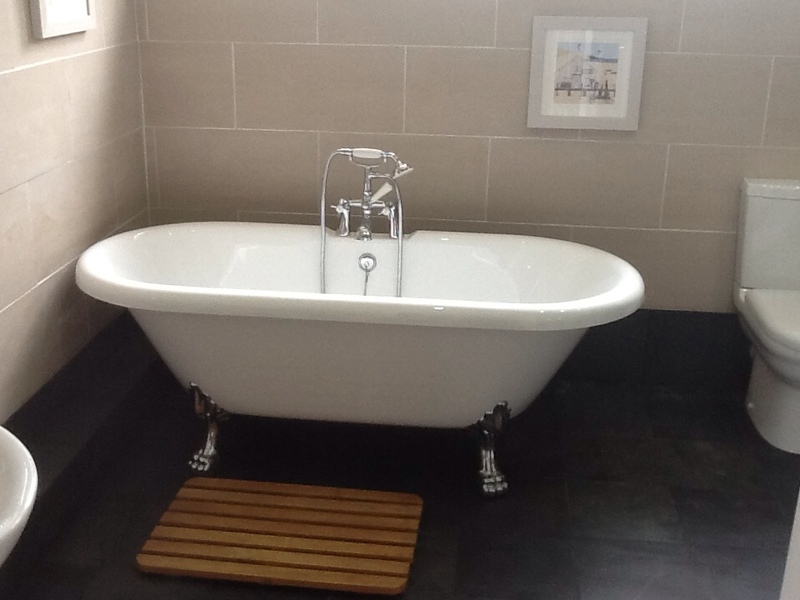 A free standing roll top bath is both modern and elegant. Although very stylish, you do need to consider the amount of room space required. Small rooms do not offer the desired look. Whether the taps are bath or wall mounted, or plain free standing they all require thoughtful planning. As Plumbers in Preston we can advise on whether this type of design would suit your requirements.